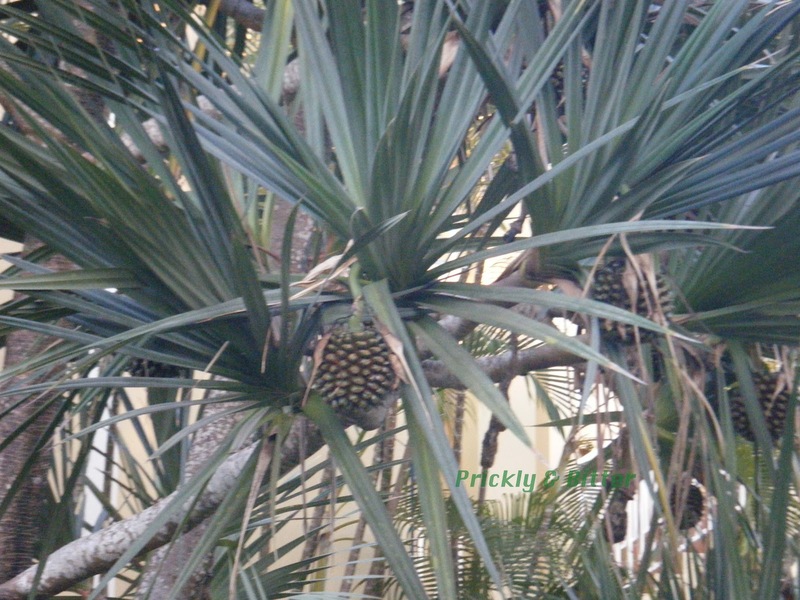 Prickly and Bitter: Do pineapples grow on trees? 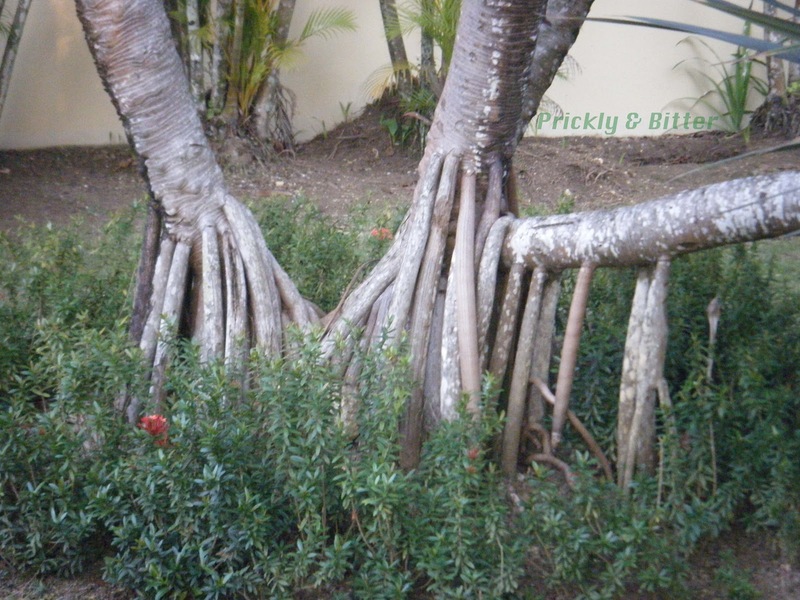 Screwpines are a group of about 650 species of tropical trees native to different regions around the world, but mostly in Southeast Asia and tropical Africa. 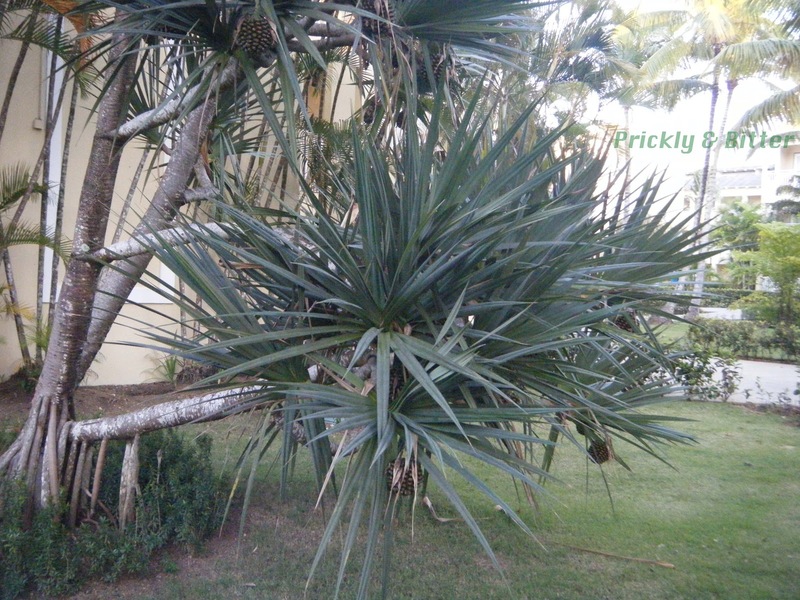 This particular species is native to Madagascar, Mauritius and Seychelles, and it is still incredibly common in those three locations because of its practicality. Many species in the genus are now endangered because of habitat loss. One big attractive feature about these plants are their aerial roots; they act almost like hands holding in soil and do a great job of preventing erosion. They, like mangroves, can also grow submerged in water so do well in areas that get a lot of rain and periodic flooding. 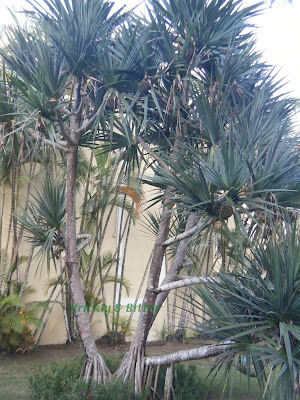 This genus of plants get their common name because of their arrangement of leaves around the stem; they are spirally arranged and this is so exaggerated in some species that they look as if they have been artificially made. 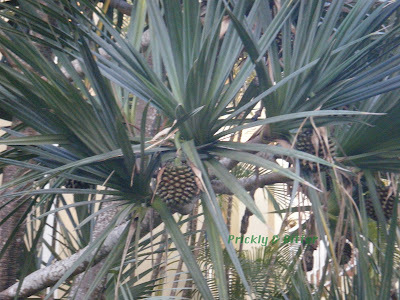 The fruit, very reminiscent of pineapples, are edible once cooked (I haven't read anywhere that they're toxic, but they are incredibly starchy and cooking would break down some of that starch to make it palatable, like with potatoes). The most important use of this plant is as an ornamental leaf species used in the construction of baskets and roofs. The leaves have a very thick coating of wax, making them almost completely waterproof. The wax can also be scraped off of the leaves and used as moulding wax, or the leaves could be heated to start to melt the wax. This is exploited during the basket making process to fuse the weaved strands together, making the joints completely waterproof. Also useful in thatching on roofs because of their waterproof nature. There you go learning me stuff again !